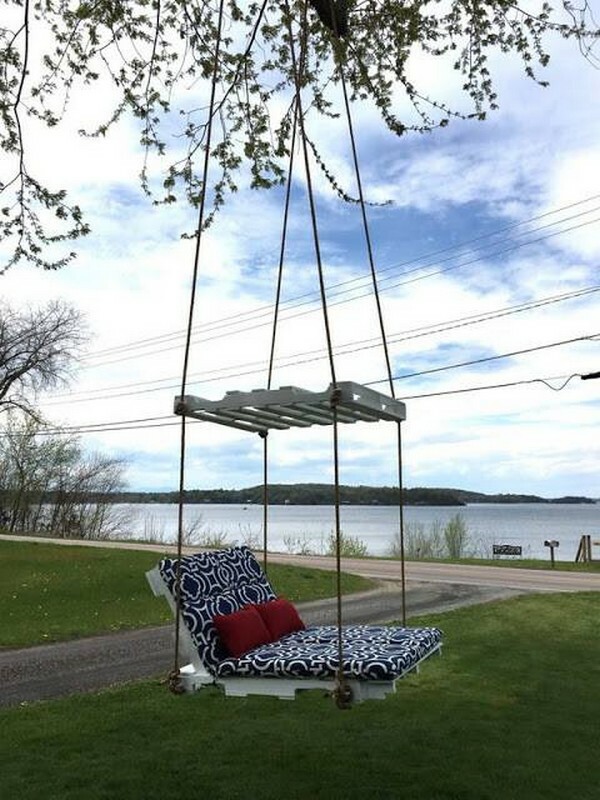 Among all the other wooden pallet recycled creations, a wooden swing is one my most favorite creations. This is because this reminds me of the good old days when we used to go to the fun land parks just to enjoy the swings, and it also renders some of the finest and calmest moments of life. 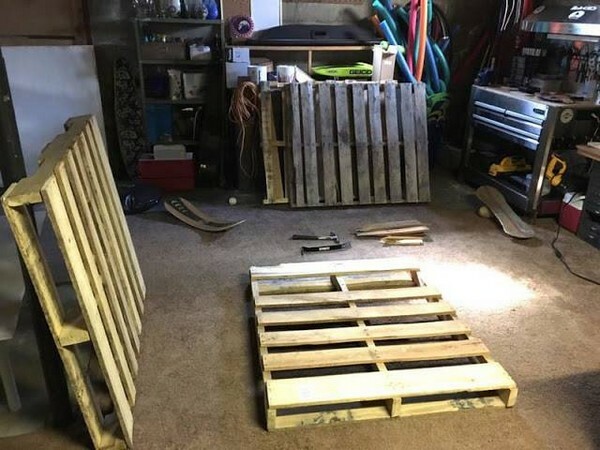 Here we have brought a whole detailed DIY project where we are going to make a wood pallet swing. We are offering some brief instructions so that you guys could make it easily having the general idea how exactly it is made. 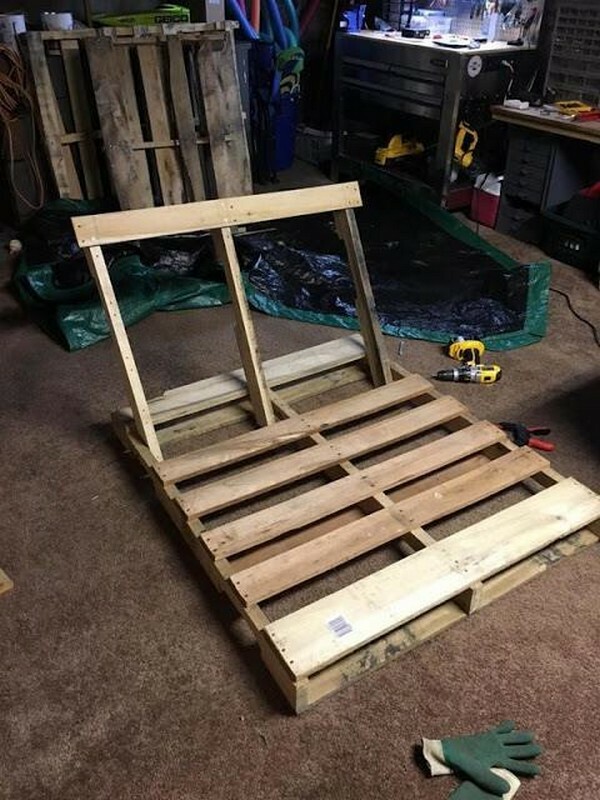 We are intending to give it a shape that would be familiar to the wooden pallet daybed. 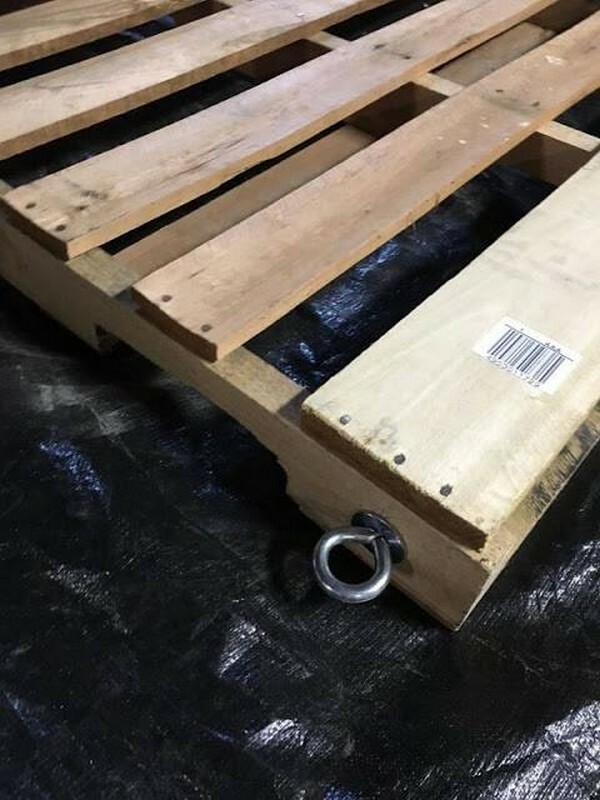 So here we have got a whole shipping wood pallet that is going to be used in the base forming, we don’t need to disassemble it as it would be used wholly. 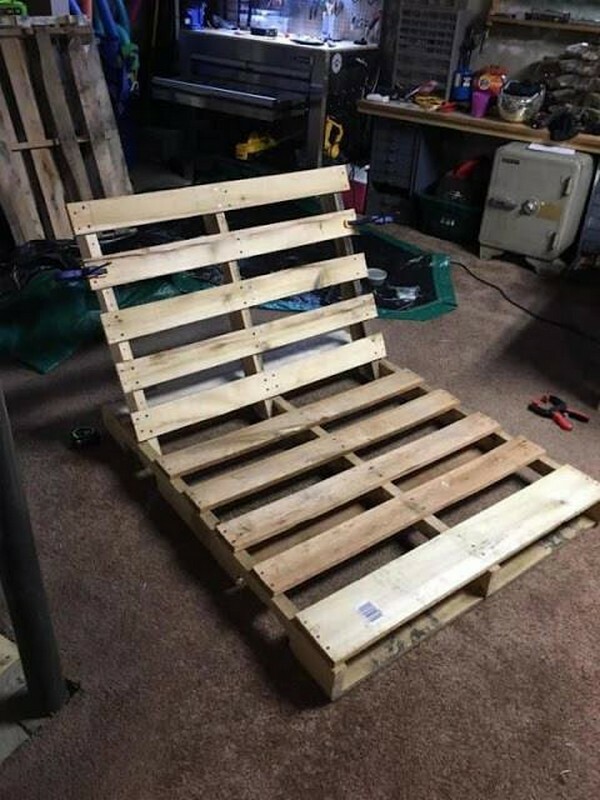 For making the headboard of this daybed sort of wooden article, we have made this three pronged wooden headboard, that is attached to the base forming whole shipping pallet by nailing it firmly with manual nails and nailing gun as well. This is the main frame where we would be adding more pallet wood planks on it. Now comes the integral part of the pallet wood swing. As we have to hang it along the tree, this must be attached with some very high duty metallic hooks that would be able to carry the heavier weights. This is a screwed hook that is fixed on all four corners of the wood pallet swing very carefully. After the hooks are attached on all four corners, we sanded it with sand paper and finally we are painting it with a bright shade that would look much fascinating in the broad daylight. 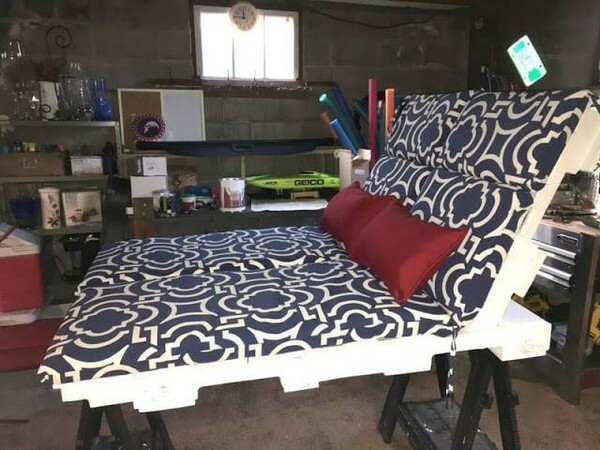 When we are done with the staining, we have equipped it with some finest and most comfortable mattress sheets and cushions to make it look perfect from all the perspectives. 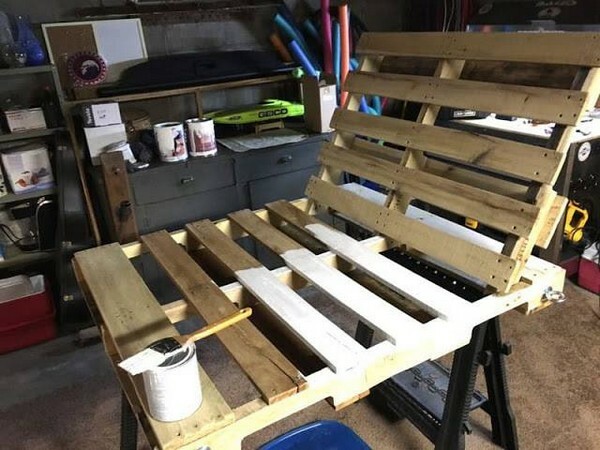 Right now it seems like a perfect wooden pallet recycled daybed that is without proper legs or base. 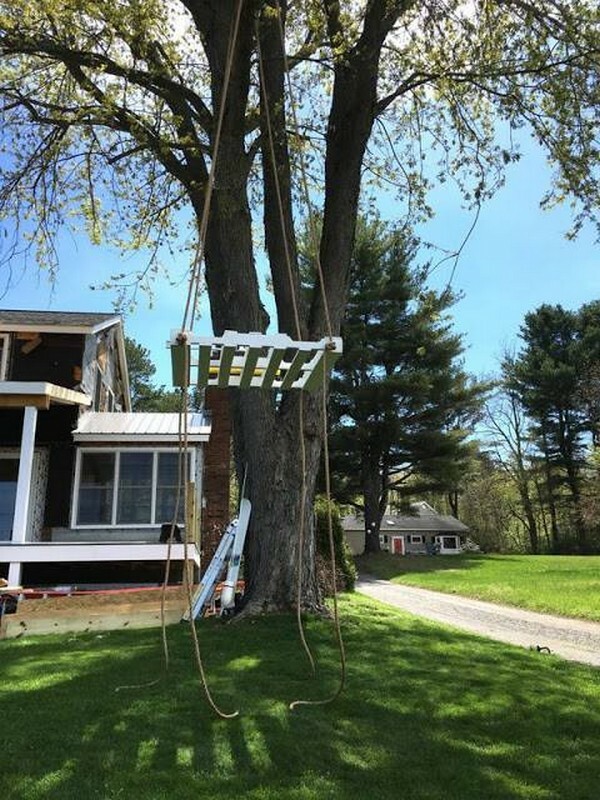 While hanging it along the tree, select one of the strongest branch of the tree and this is probably the most integral part in the installation of this wood pallet swing or otherwise it could harm and injure you very badly. We have added a whole shipping pallet as a shade right above the swing. Thick strong heavy duty ropes that are especially designed for such installations and ensure the security are attached here. Being crossed through the wood pallet shade, we have attached all four hanging ropes in the metallic hooks ensuring that tighter knots are assured because this is all about your safety. 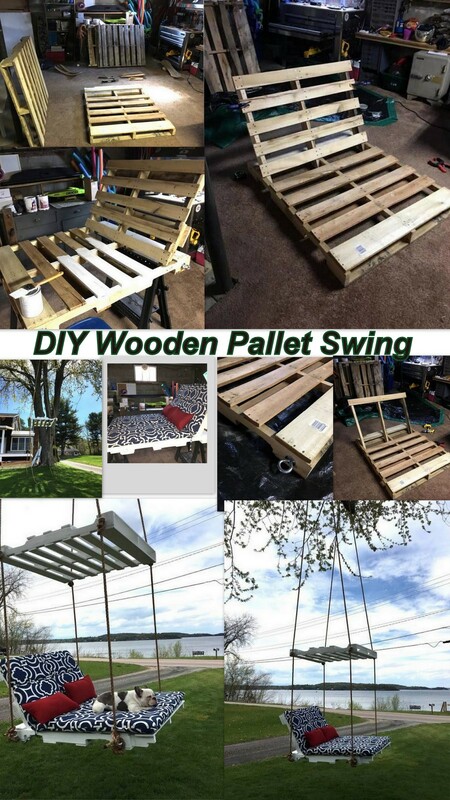 And this is the final look how this wood pallet repurposed swing actually looks. While hanging it make sure that the headboard side is a bit lower that the other end, this would give more secure and comfortable posture and prevent the fall down too. 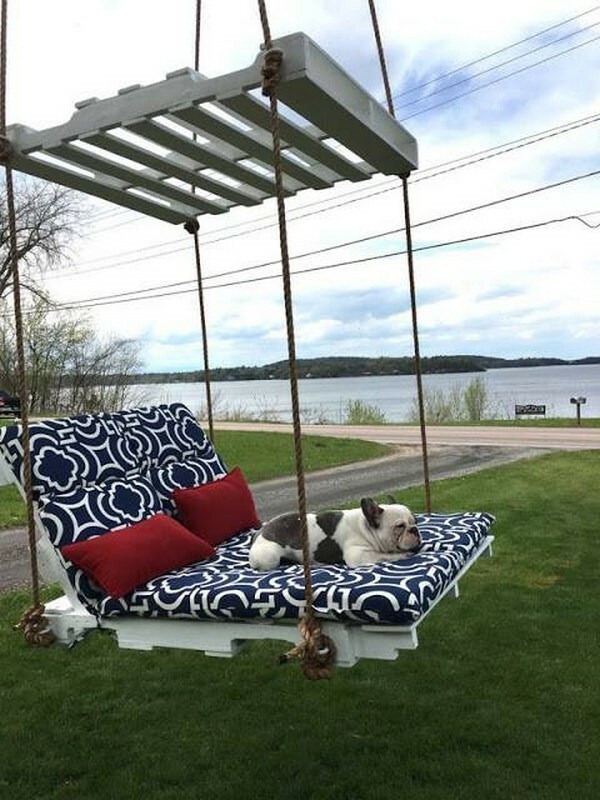 Enjoy the swing before your dog takes all the fun. Previous articleNo Time To Make A Christmas Wreath? Try a Swag Instead! Next articleDIY Wintertime Decorative Arrangement Design: It’s a Handful of Greens Away!